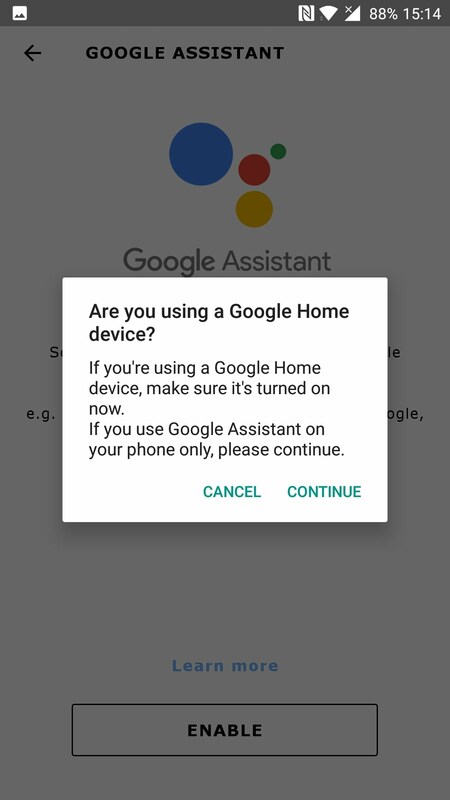 Here are screenshots of the entire setup dialog and process. 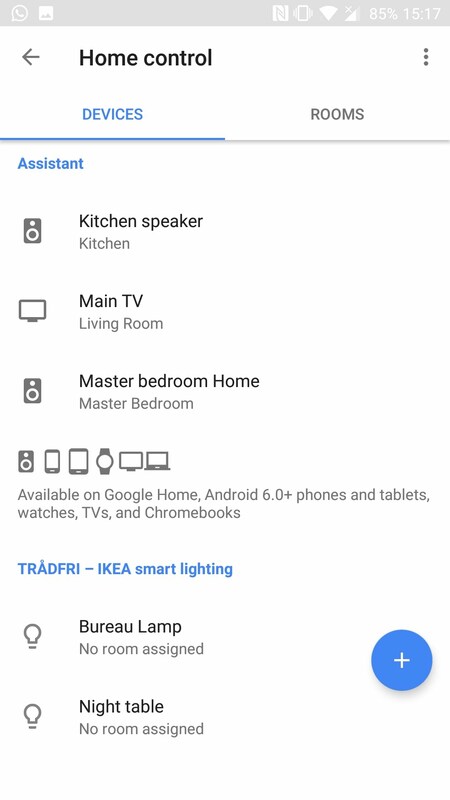 Thanks again, Arne! 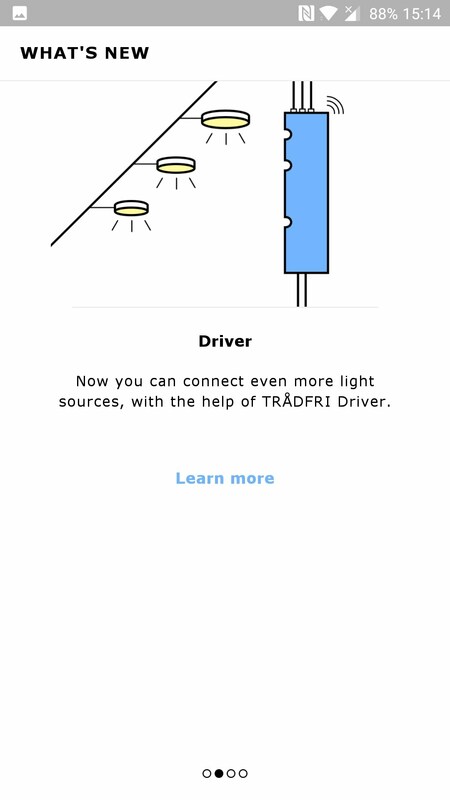 Ikea's Tradfri are one of the cheapest smart lighting solutions around and they're available and tailored for several countries around the world. 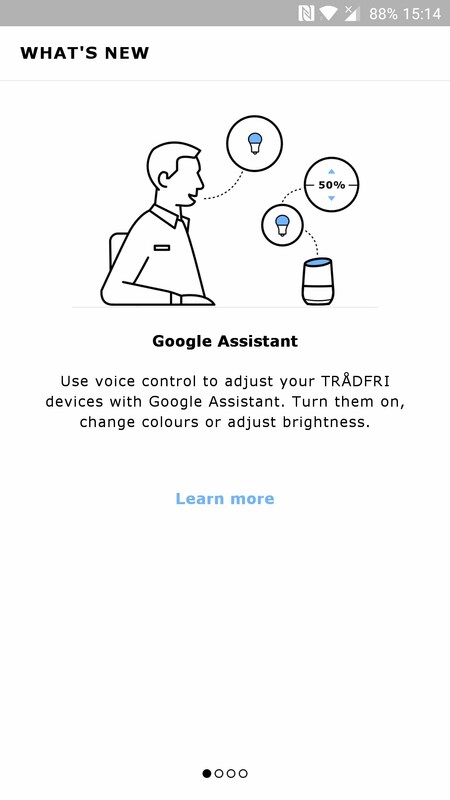 For a while though, the only smart way to control them was through the Android and iOS app - no voice assistant was compatible. 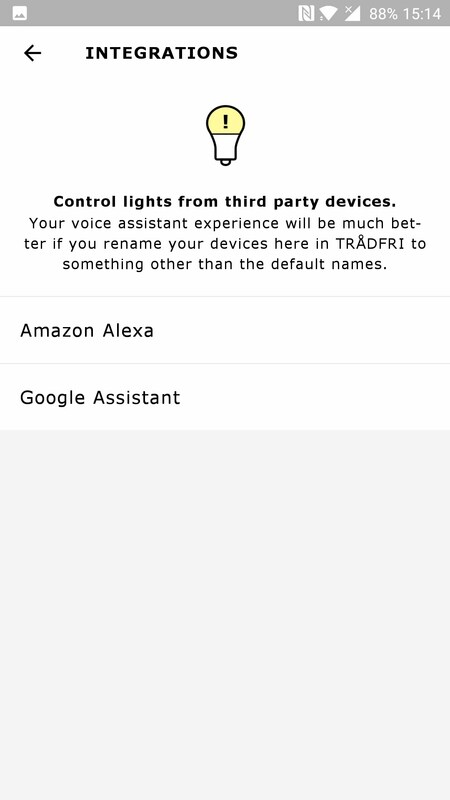 Then Alexa followed by HomeKit were supported and Google Home users were left waiting... and waiting... and waiting until today. 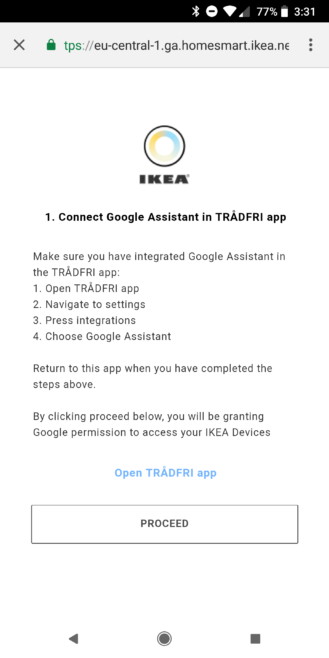 The Ikea Tradfri Android app has been updated to mention integration with the Google Assistant. 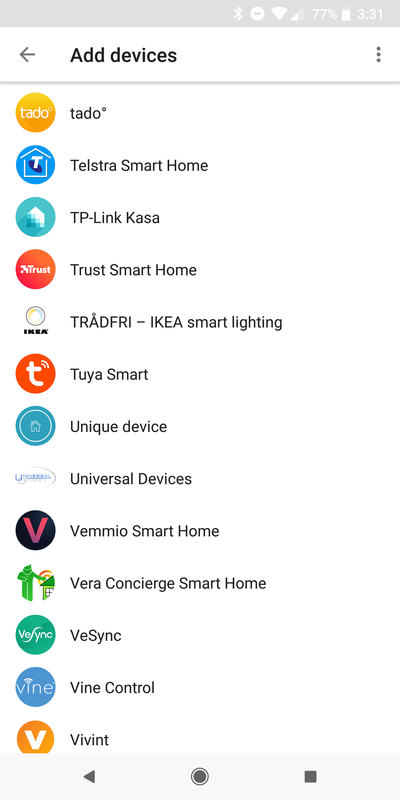 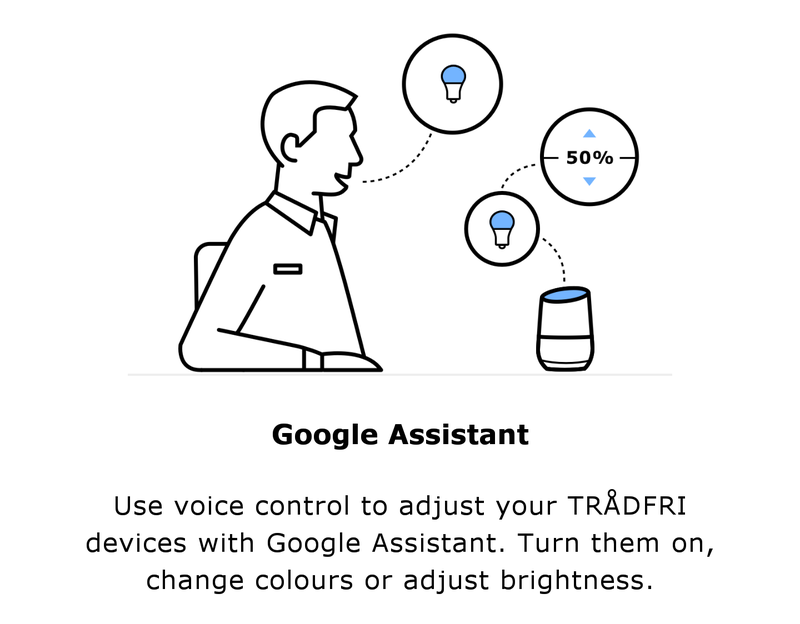 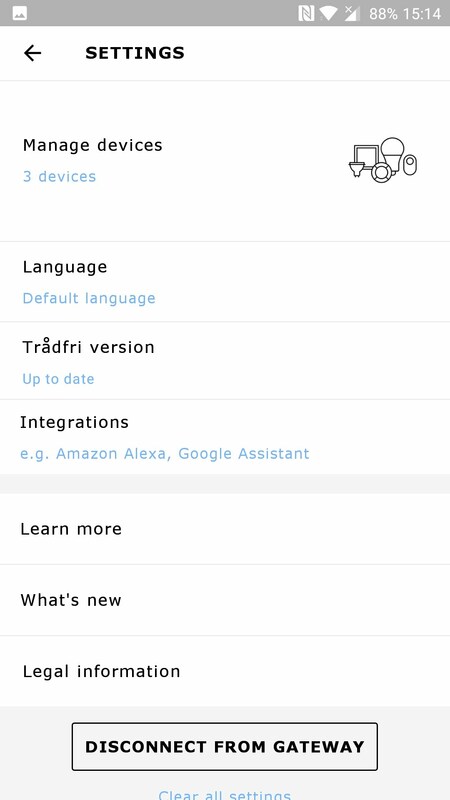 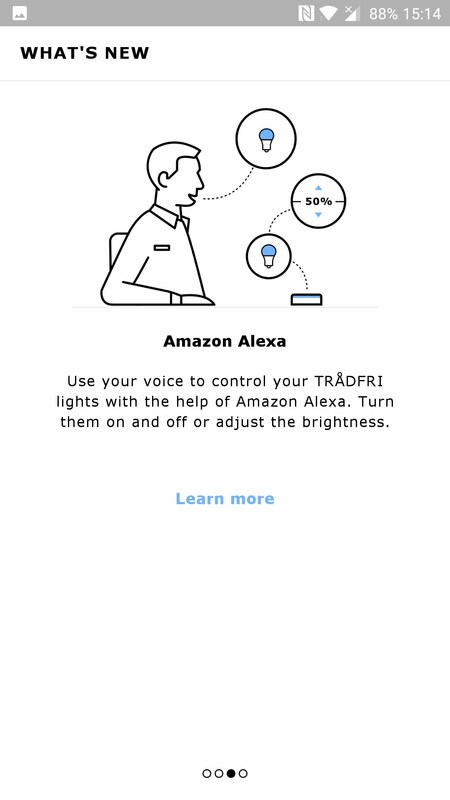 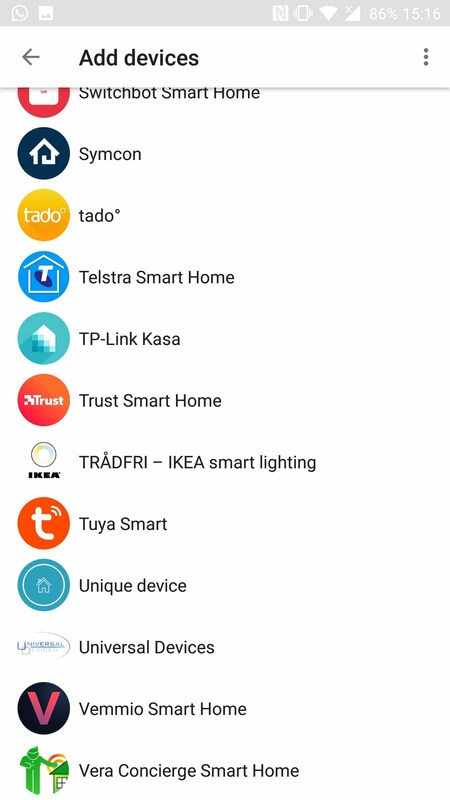 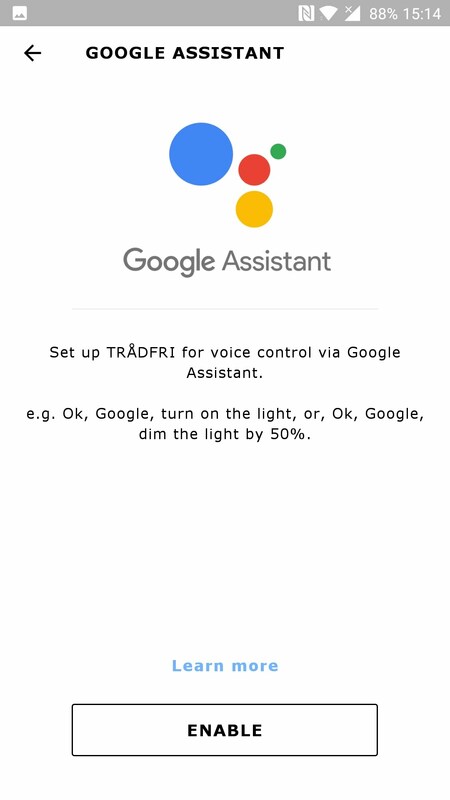 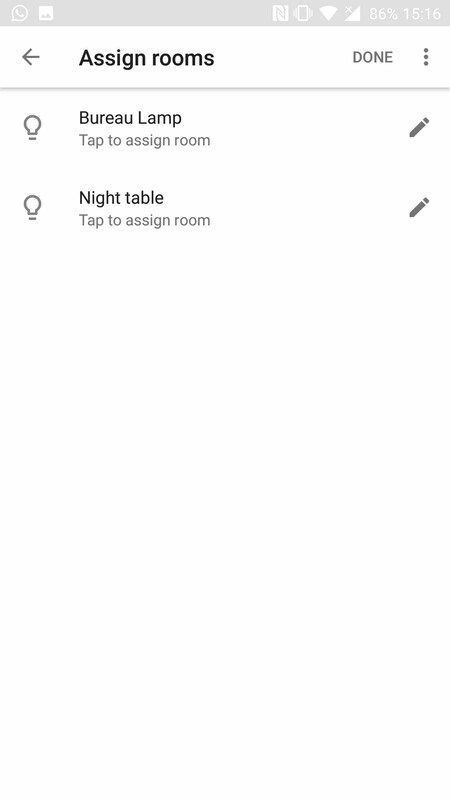 You'll need to enable that in the app's settings first, then you can head over to your Assistant settings (in Assistant or the Google Home app), go to Home control, tap the blue add button at the bottom right, and scroll through the list to find "Tradfri - Ikea smart lighting." 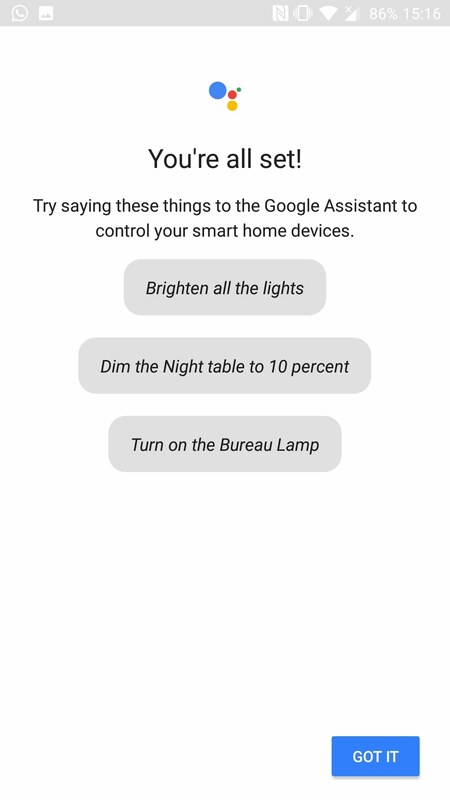 I don't have any Tradfri lights so I can't test what you need to do to finish the setup and how things work once all is done, but you should technically be able to see all your lights as devices under Home control, assign them to rooms, change their nicknames, and control them with the usual lights commands from Assistant, whether through your phone, Home speakers, or other devices.